These "Stop Press" images are from the camera of Jari Luomanen. At left an all sky view. 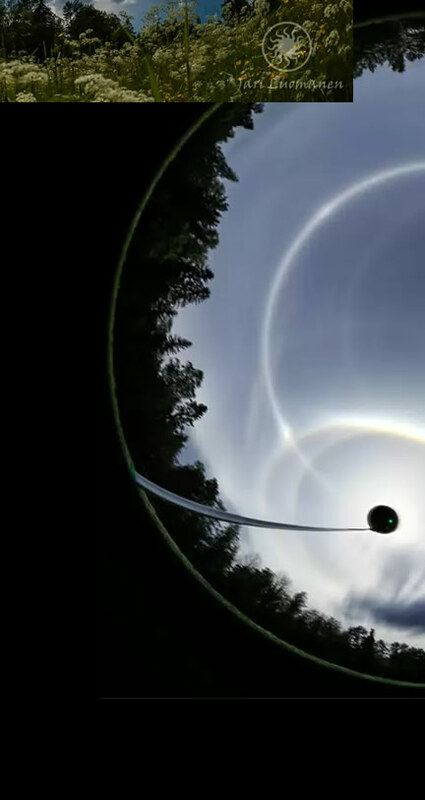 An immensely bright parhelic circle dominates the sky. 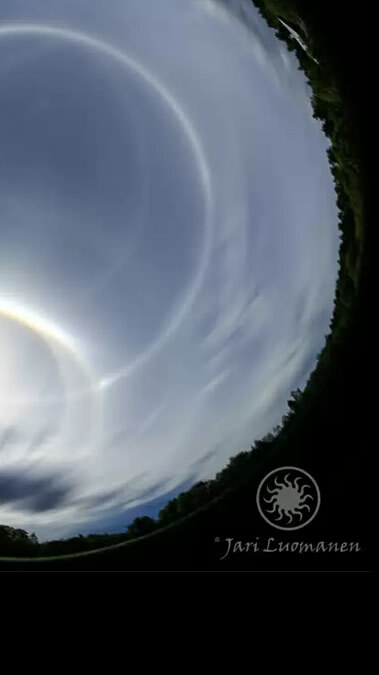 "5 suns" bejewel it - the sun itself, two 22° parhelia and two 120° parhelia. Surrounding the sun are the familiar 22 degree circular halo and an outer circumscribed halo. The sundogs are well beyond the circumscribed halo. There are rarities. The colour subtraction enhancement at lower left shows them up. We see high sun Parry arcs, a Wegener arc, a 46 degree halo and slanting up from the horizon brightly coloured infralateral arcs.